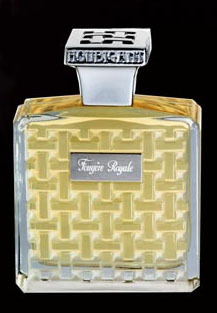 Fougere Royale (2010) is a classic, spicy-aromatic fougere. No doubts! I honestly don't know how it compares to the original formula but my personal virdict on this iteration is not so positive. It smells good and collects all the chrisms of this kind of compositions but in the end it's neither so distinctive nor particularly oustanding. Now, we shouldn't forget that Fougere Royale was the first fragrance to open the doors to all other fougeres but this current version it's not the original. It's just a pricey reformulation that sounds a lot like a marketing product. Let's put it simpler: it's like seeing a Beatles reunion right know...do you know what I mean? Any substantial member will be missing? 1) this is not Fougere Royale (that's for sure considering IFRA's restrictions and different quality/source of the ingredients). 2) You can have plenty of classic fougeres doing exactly the same thing starting at 1/5 the price. 3) When you buy this, you don't get a piece of history. It's like buyng a Mona Lisa's poster in a fancy frame.